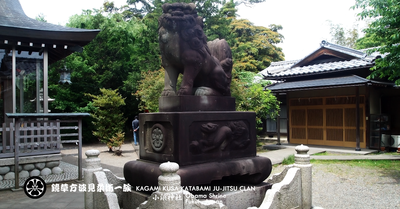 ​Obama Domain (小浜藩 Obama-han) was a Japanese domain in the Edo period. 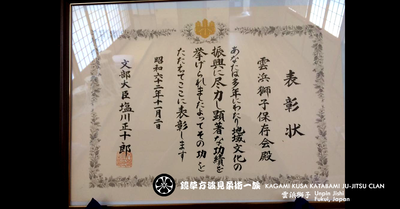 It is associated with Wakasa Province in modern-day Fukui Prefecture. ​The domain's capital of Obama was a prosperous port city throughout much of the 15th-17th centuries. 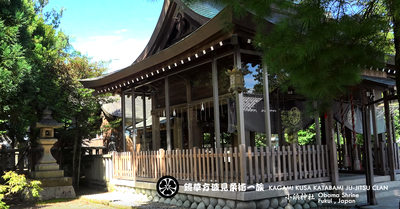 Obama city was an important link in the domestic sea routes between Ezo and the Sea of Japan coast, and played a significant role in the economic development of the early Edo period. 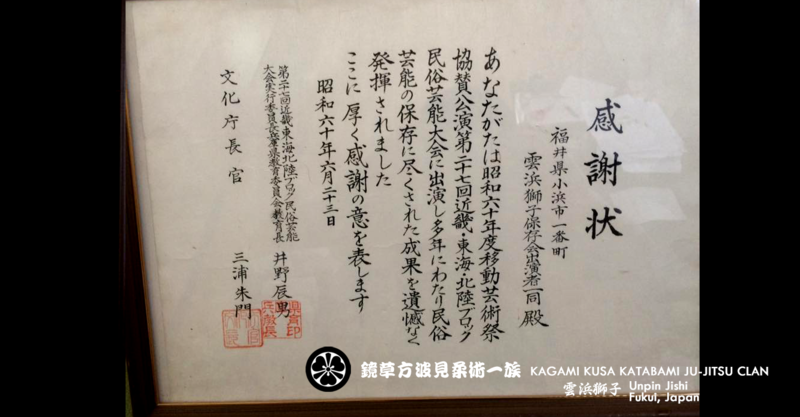 ​formerly of the Sakai clan at Kawagoe Domain in Musashi Province, then became lord of Obama. 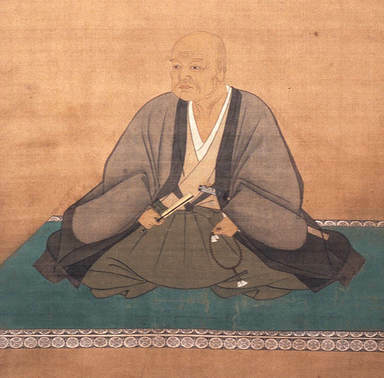 and later as its head, or Tairo ( Tairo (大老, "great elder") was a high-ranking official position in the Tokugawa shogunate government of Japan, roughly comparable to the office of prime minister. ) 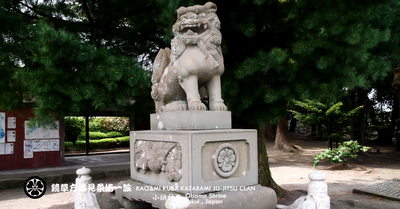 He was succeeded in the domain by his fourth son, Sakai Tadanao. 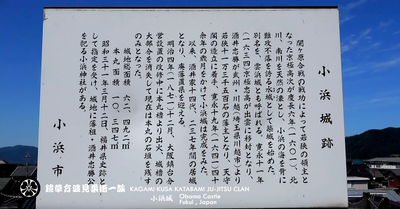 The hereditary daimyos were head of the clan and head of the domain. 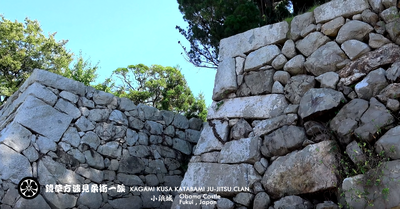 Obama Castle (小浜城 Obama-jo) is a castle located in Obama, Fukui Prefecture, Japan. 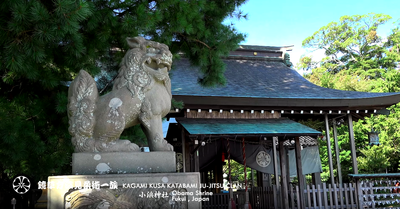 The castle is also known as Unpin Castle (雲浜城 Unpin-jo). 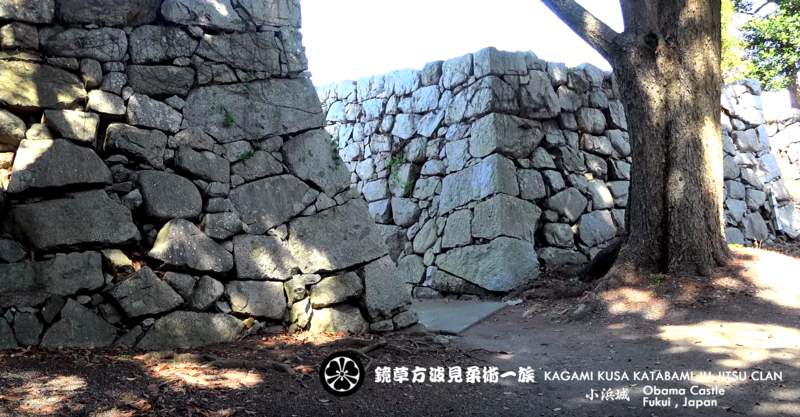 In 1601 after receiving Wakasa Province due to successes in the Battle of Sekigahara, Kyogoku Takatsugu (京極高次) built Obama Castle by using local fisherman as workers. 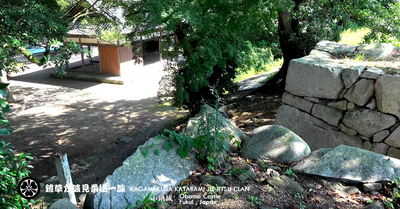 ​In 1634 Sakai Tadakatsu (酒井忠勝) took control of the castle after the Kyogoku family moved to Izumo near Matsue. 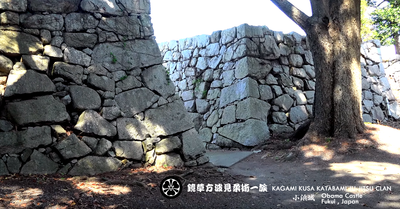 He finally completed the castle tower with 113,000 stones in 1636 with the tower reaching a height of 29m. 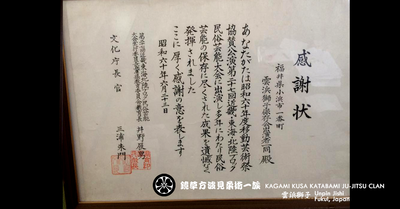 ​Obama Castle became a residence of Sakai family in 14 generations, 238 years. Obama Castle was held by the Sakai family up to the Meiji Restoration in 1868. 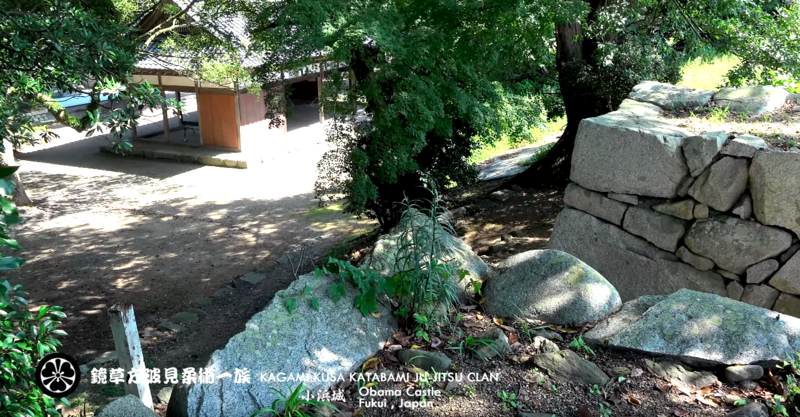 ​It was destroyed in a fire in 1871 after acting as the prefectural office since the Meiji Restoration, and only the stone walls remain today. 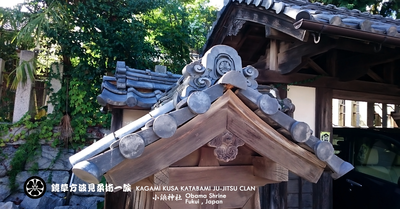 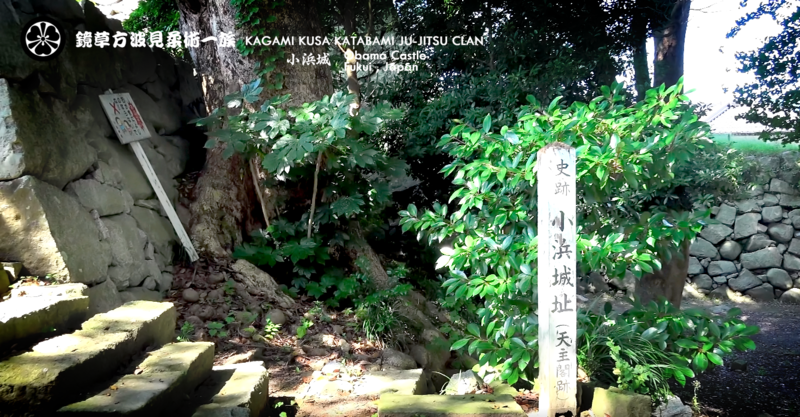 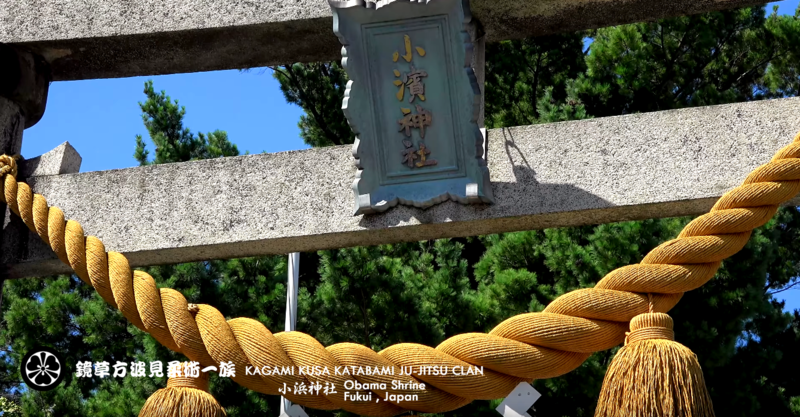 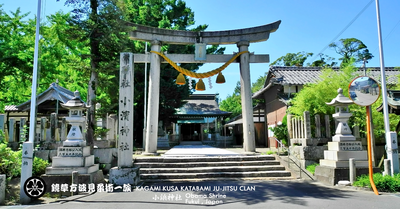 ​The castle grounds now has Obama-jinja (Obama Shrine), a Shinto shrine. 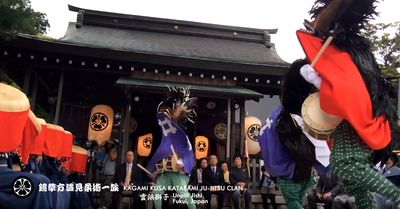 This lion dance was brought to the region when Takadatsu Sakai, the feudal lord of old Wakasa-Obama transferred from his fief in Kawagoe, Musashi to Obama in Kan'ei Year 11 (1634). 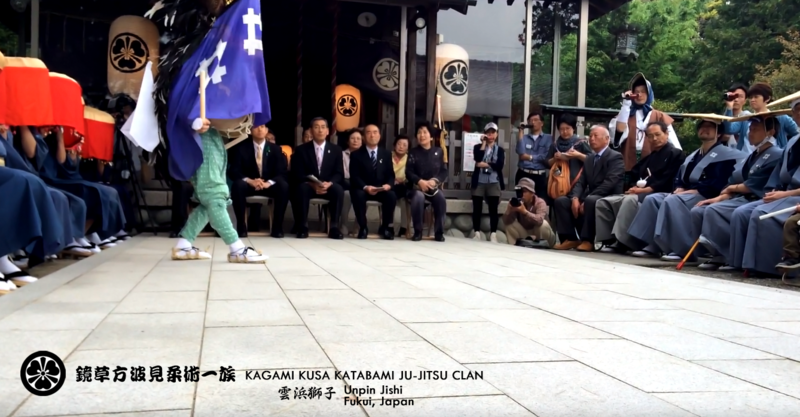 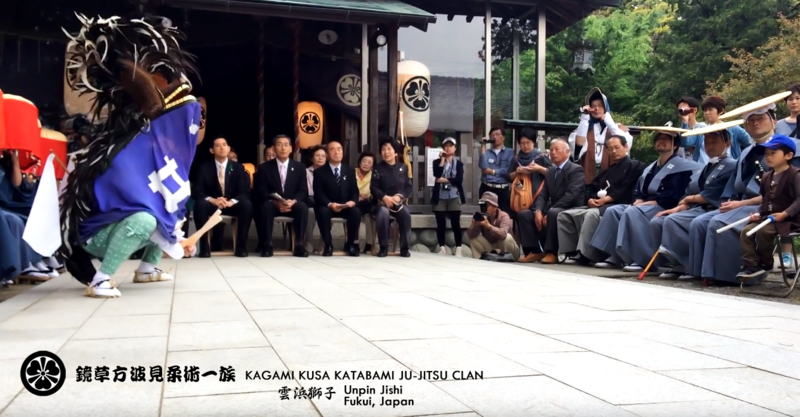 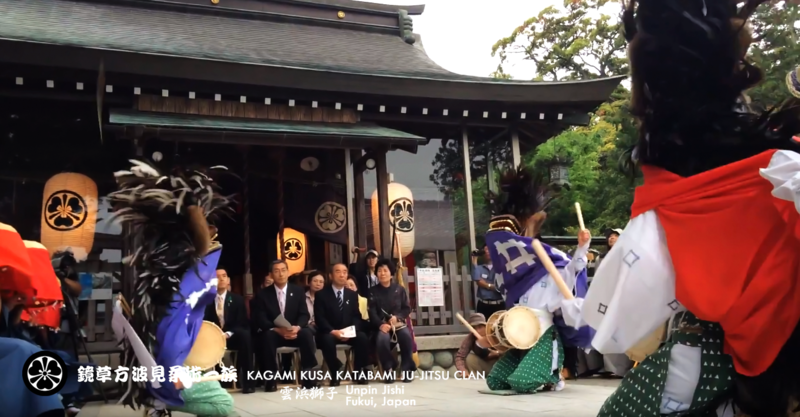 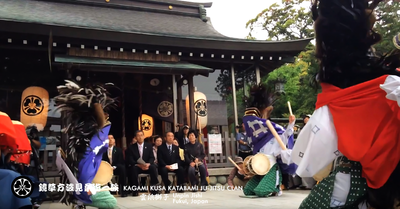 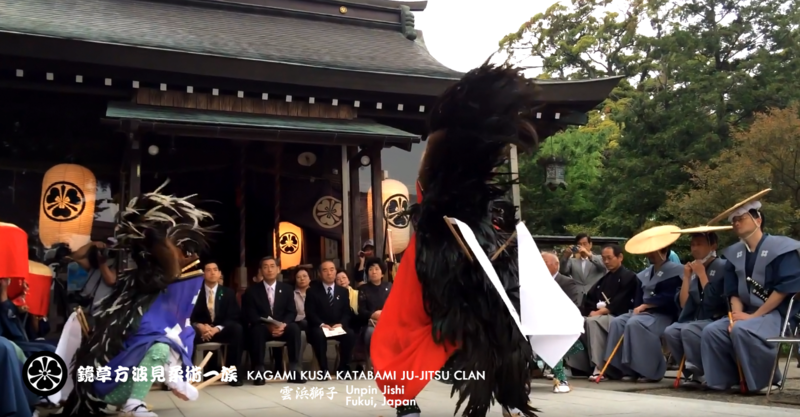 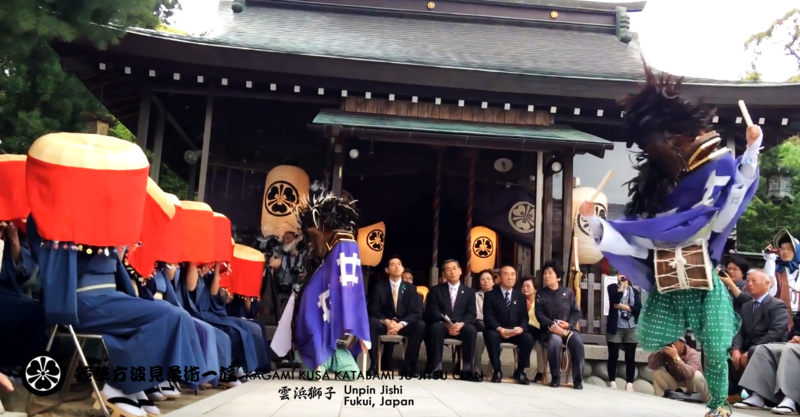 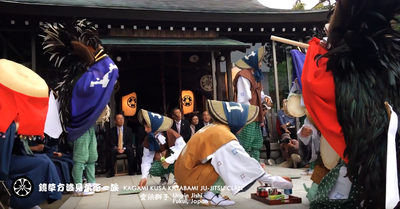 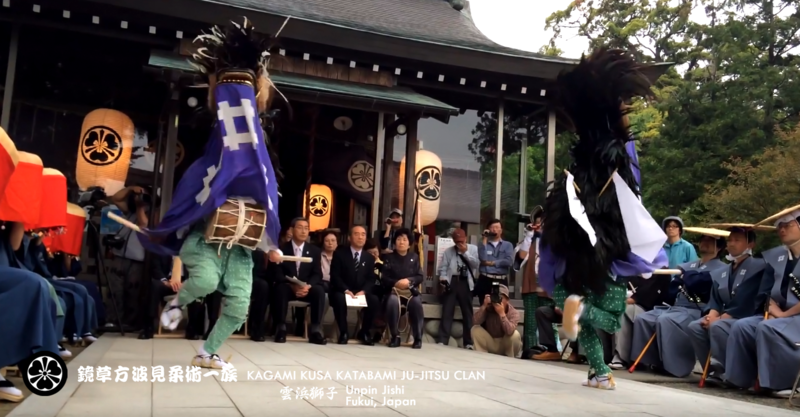 Performers brought to Obama were called the "Kanto-gumi", given honorary samurai status, and were only permitted to dance for celebrations within the castle. They also made offerings to Hiromine Jinja at the time of the Gion Festival. Unpin Jishi was interrupted for some time following the abolition of the han (feudal) system, but was later revived. 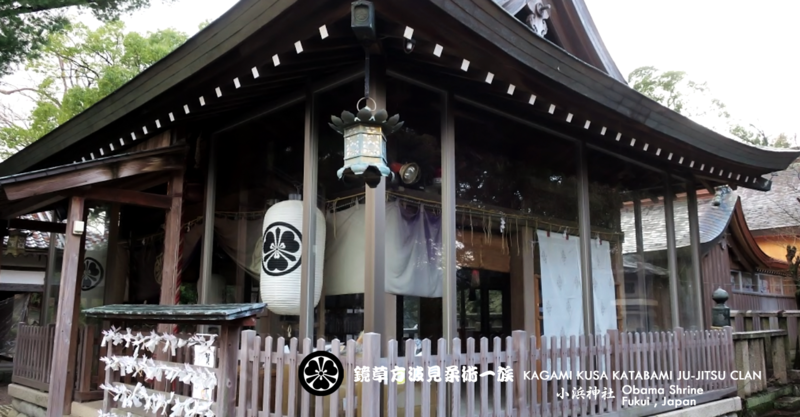 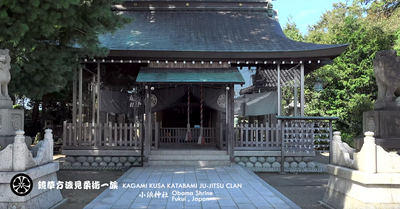 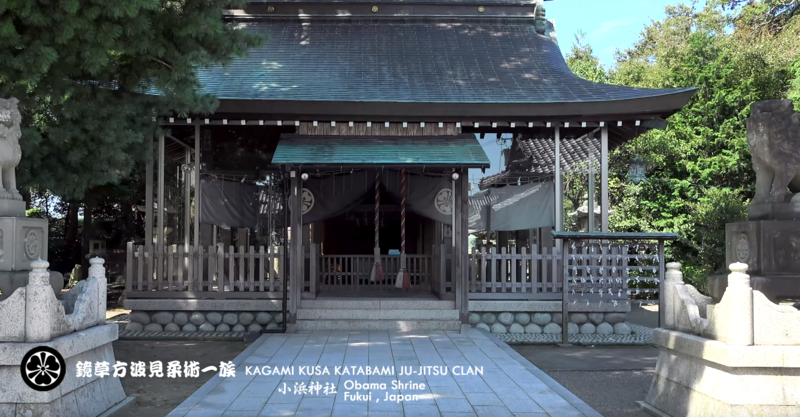 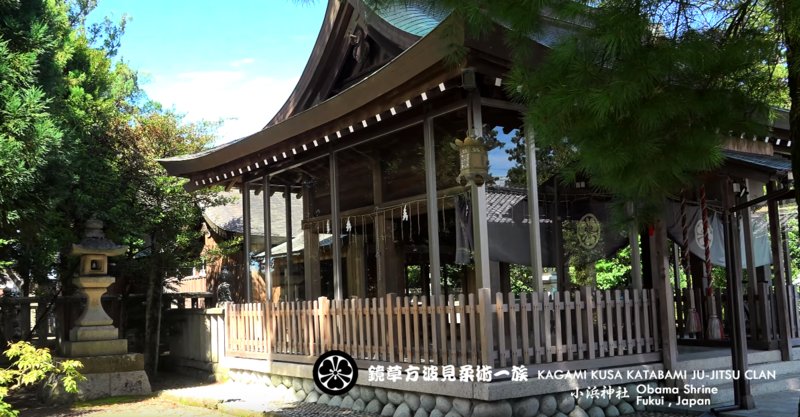 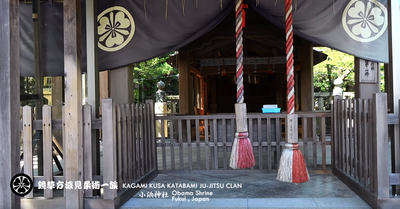 In Meiji Year 8 (1875), Obama Jinja was built in honor of the ancestral lord Takadatsu, and it is now performed at one of the largest festivals "Oshiro Matsuri", currently carried on by the residents of Ichibancho. 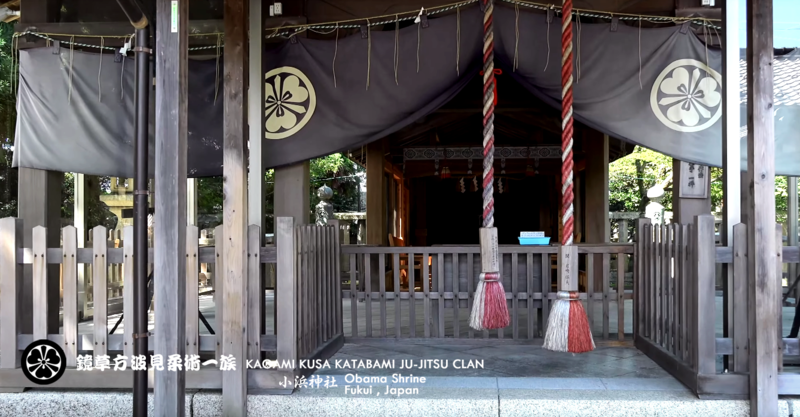 This is an annual festival of Obama Shrine. 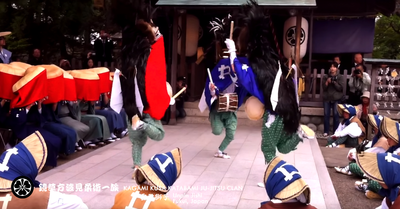 Traditional performing arts such as Unpin Lion and big drums are dedicated to the shrine.